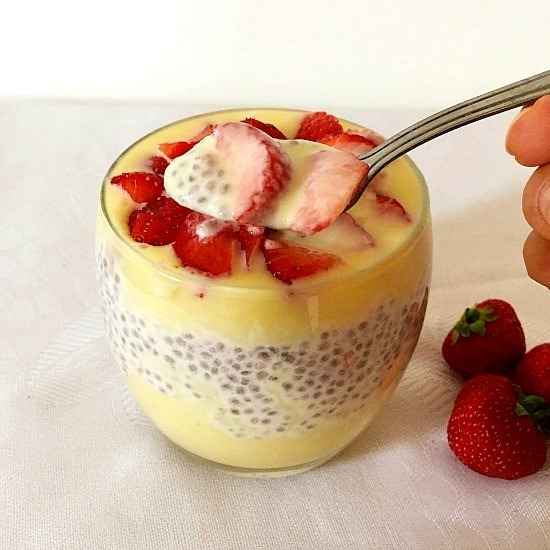 Overnight Chia Pudding with white chocolate and strawberries, a super delicious treat with just a dash of naughtiness. 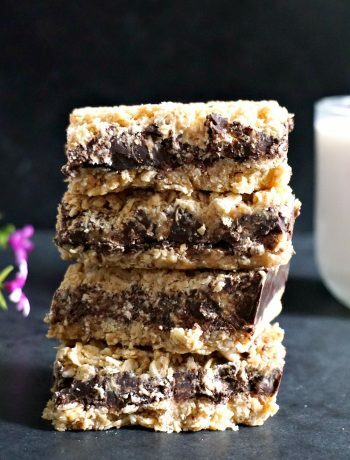 So indulgent, and so easy to make. Right, l’ve got a confession to make, it was the first time l tried chia seed pudding. I know, what planet am l coming from? Having read about the benefits of the chia seeds, l decided to give this pudding a go. I have always loved puddings of all sorts, including my oh-so-gorgeous semolina pudding or rice pudding. But this chia seed pudding is something else, it’s light, it’s super delicious, and not too unhealthy either. Anyway, if you’d rather stay away from the naughtiness part, just omit the chocolate, and serve the pudding without. In this way, you get a super healthy, vegan, gluten free and super yummy chia seed pudding that can be enjoyed for breakfast too. Otherwise, just serve it as a little treat after your meal, it’s still a lot healthier than other fatty desserts. How do you make chia seed pudding? 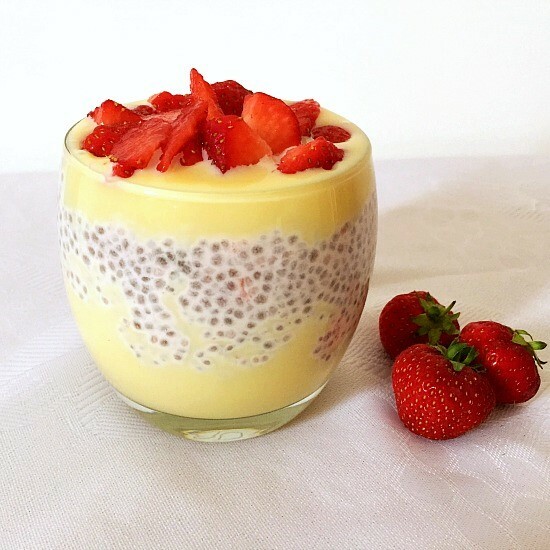 Chia seeds need a bt of time to hydrate, so you should ideally leave the pudding overnight to be fully hydrated. Otherwise, leave it in the fridge for at least 4 hours. The best way to store it is using an air-tight container, tupperware are just excellent here. If you’ve liked my OVERNIGHT CHIA PUDDING or any other recipe on the blog then don’t forget to rate the recipe and let me know how you got on in the comments below, I love hearing from you! You can also FOLLOW ME on FACEBOOK, and PINTEREST to see more delicious food and what I’m getting up to. 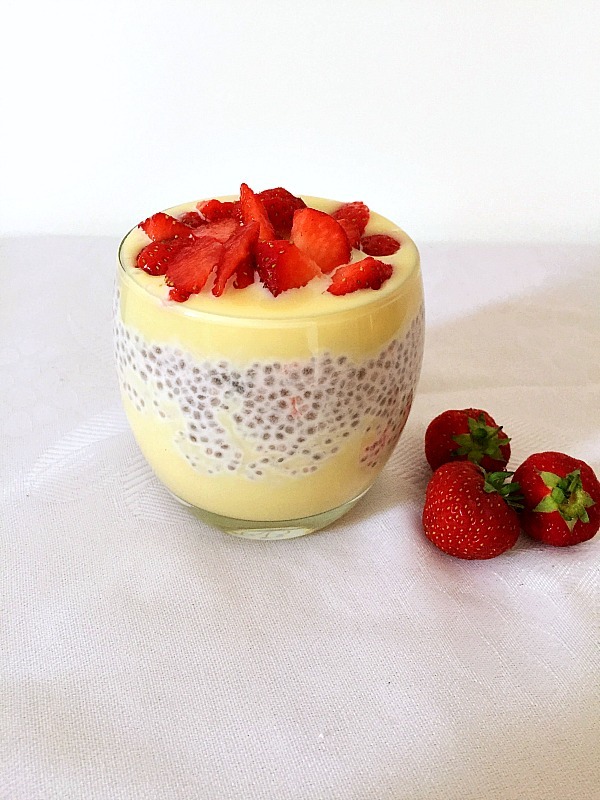 Overnight Chia Pudding with White Chocolate and Stawberries, an indulgent treat. Amazingly tasty and easy to make. In a large bowl, combine the coconut almond milk, Greek yogurt and chia seeds. Give it a good stir, mash half a cup of strawberries and add to the mixture. Whisk well until all combined, then leave to set for half an hour. Give it another good stir, cover well (a tupperware is just perfect) and refridgerate overnight. If making it during the day, make sure it chills for at least 4 hours. Add the double cream and white chocolate chips to a pan and set it on a low heat. Stir for 2 minutes until the chocolate melts. In a glas, arrange one layer of white chocolate, one layer of chia seed pudding, and another layer of white chocolate. What a wonderful dessert! Looks very tasty!